As Irma threatens Florida, the Lone Star State has $180 bln of Harvey damage to pay for. Most will come from the feds even though Texas hates big government. With low taxes, billionaires aplenty and a GDP that dwarfs the cost, minimizing D.C. aid ought to be virtually a state duty. 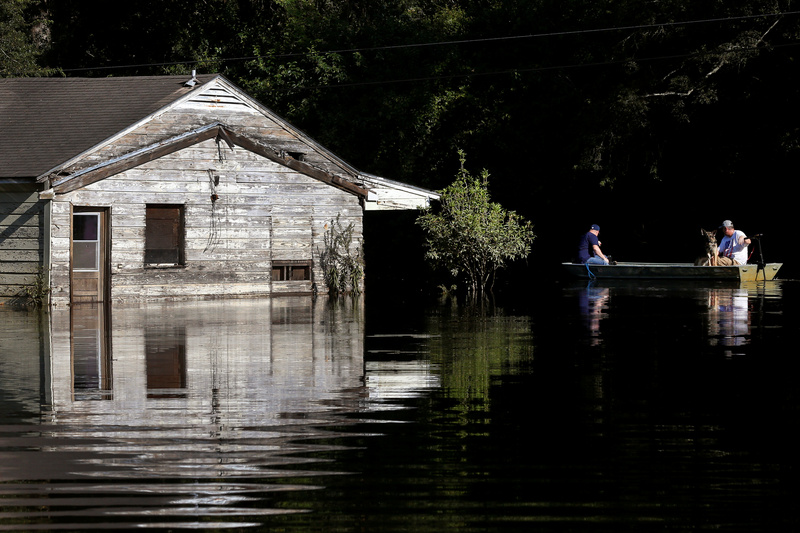 Residents boat past a submerged house in the aftermath of Tropical Storm Harvey in Vidor, Texas, U.S. September 5, 2017. AccuWeather has predicted the cost of the damage wreaked by Hurricane Harvey could reach $190 billion. That’s more than the $118 billion loss to the economy caused by Hurricane Katrina in 2005 or Hurricane Sandy’s $75 billion bill in 2012, according to damage estimates from Enki Research. There are differing estimates for the cost of Katrina, with various federal government offices putting it as high as $160 billion. Texas Governor Greg Abbott on Sept. 3 put the potential cost of Harvey at up to $180 billion. He also said the state could need more than $125 billion in federal aid. Last week Abbott said he would not call the legislature back for a second special session in the wake of Harvey. The legislature is not officially due to reconvene until 2019.